Did you know March 10th is National Pack Your Lunch Day? If you did, good for you! I tend to be the mom who finds out at 10pm while perusing social media that it was National Ice Cream Day or Bring Your Child to Work Day or Fat Tuesday, so you’ll find me scouring the fridge for some late night ice-cream… I mean, who doesn’t love an excuse to eat some ice-cream! This time though, I’m in-the-know. It’s on my calendar… and I’m already planning! I LOVE the idea of National Pack Your Lunch Day! The benefits to packing your lunch are numerous. 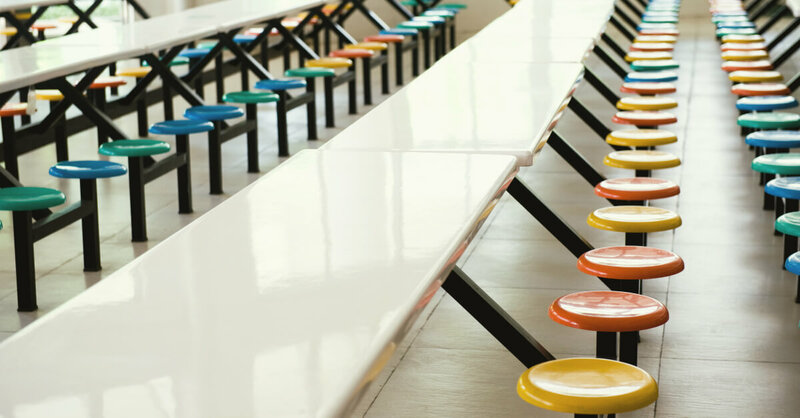 From healthier food choices to saving money, there are many reasons to pack a lunch. Perhaps my favorite reason to pack a lunch for my kiddos though is the notes that I will get to leave for each one of them. Here are just a few ideas for quick notes to leave your child. If you didn’t know today was National Pack Your Lunch Day, no worries! 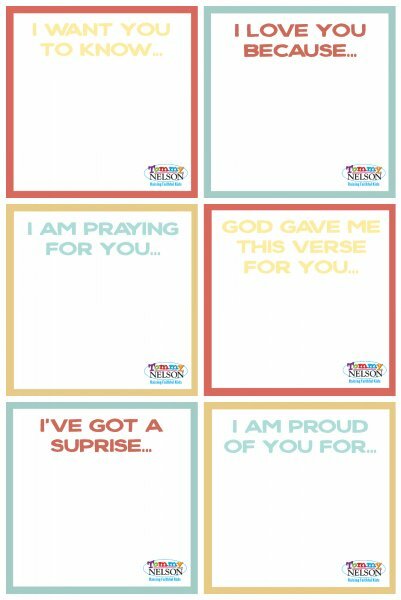 You can use these ideas (and our Free Printable Lunchbox notes – see below) any day of the year! Bible Verses – Filling their thoughts with a quick scripture verse at lunch can help refocus them on what is important. With so much peer pressure kids face, it is great to remind them that they belong to God and he is always with them. May I recommend Deuteronomy 31:6, Psalm 19:14, or Proverbs 3:5-6? Simple “I LOVE YOU” – Even if you think you tell your child you love them 1000 times a day, say it again! A child can never hear you say, “I love you” enough. Use our Free Printable Lunchbox Notes to add a little love to your child’s lunch. Download here! There are probably a million other notes that you could write your child, but these are just a few simple suggestions. If you pack your child’s lunch multiple times a week, be sure to leave them notes often! I can guarantee that some day your child will reminisce about the sweet notes you left them. Let’s leave a Lunchbox Legacy… one your child will always remember! What’s something special you do for your kids’ lunch boxes? 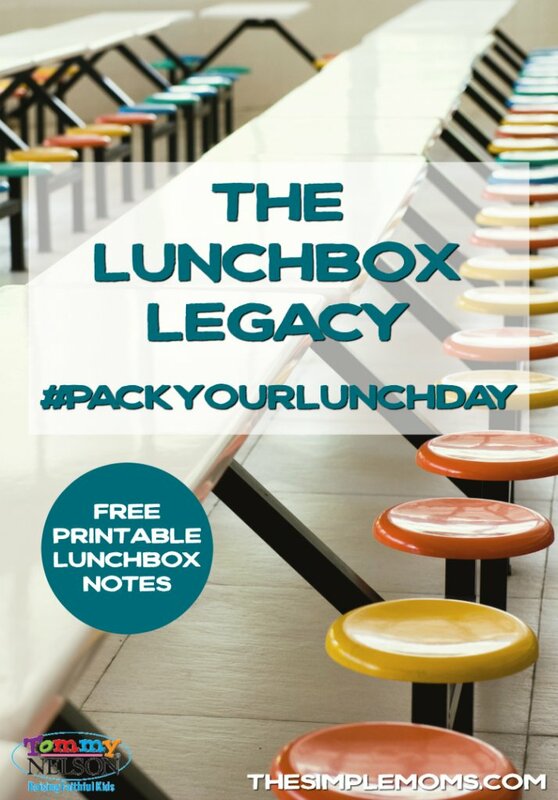 This entry was posted in Blog, Tommy Nelson and tagged Lunchbox Notes for Kids, National Pack Your Lunch Day, School Lunch by Shannon McAvoy. Bookmark the permalink.